"We had the pleasure of being Ruth's first Airbnb guests. Rest assured the cottage is fantastic! Ruth, (a true character) met us on check in and couldn't have been more helpful. We were shown around the cottage and all the relevant amenities were explained. Ruth gave us a rundown of the history of this 16th Century gem nestled in a little valley above the village, the cottage has an intriguing history and has been carefully renovated to ensure the character is protected and modern amenities added without compromising the integrity and charm of this very original quirky cottage. 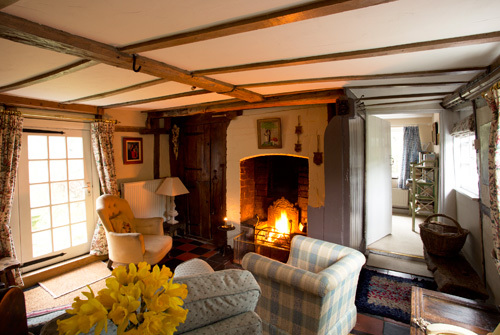 The cottage was lovely and warm and lighting the fire in the evenings created a cosy homely atmosphere in the lounge area. The setting is perfect, located at the end of a private road and surrounded by a beautiful garden set around a rambling stream. The sun room looks out over a local farmer's fields and the wooded valley is full of wildlife. The children enjoyed looking at the the starscape at night as there is hardly any light pollution in the area. I will definitely try and free up some time to visit in the summer. Thanks for a fabulous stay!" "Ruth is a welcoming host, and she received us warmly despite the fact that we arrived much later than planned. We had a lovely stay in the cosy cottage. The cottage is tucked away amidst farmland, out of anyone's view. The garden is beautifully kept. It's about an hour's drive from the southern border of Snowdonia, but it's a beautiful drive there and there are nice walks in the cottage's immediate surroundings. Prepare for barely any phone network (a good thing if you want to disconnect!)." "Having been born at Cwmmegan, my husband, who left 55 years ago was struck at how sympathetically and lovingly Cwmmegan has been extended and renovated. Literally home from home - the cottage has a 'lovely' feel. Thank you also to Ruth for her attention and kindness." "Impossible to be anything other than relaxed and at home here. Thank you Ruth for all your years of hard work and attention to detail at Cwmmegan. The 100 mph winds of storm Eleanor added to the magic of the place whilst we were safe and cosy in front of the fire! INSPIRATIONAL." "Wonderful cottage set in a unique location. Enjoyed a fun walk up Cadair Idris to see the lake. Hope to return in the near future. Thank you Ruth.You were a wonderous host." "What a fabulous week we have experienced! Ruth is a wonderful host. An amazing cottage, a hidden gem. Long walks, stunning scenery, playing board gamesand having quality family time. Would love to come back." "Our third visit, and yet again the best two weeks of our year. This place feels like a second home. The weather gave us a perfect excuse to laze in front of the fireplace reading and playing cards. We love watching the sheep graze, the squirrels curiosity and the cheeky blackbird, so restful. 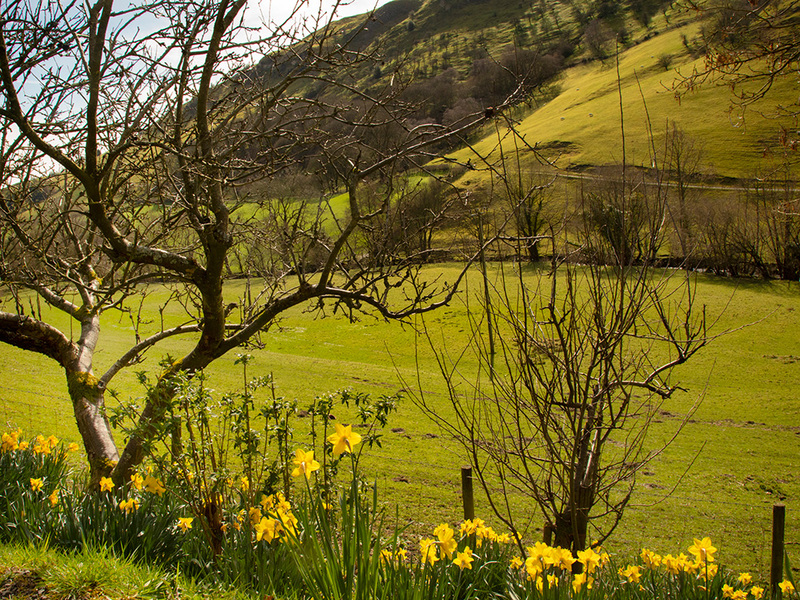 Cwmmegan is a treasure beyond price and we look forward to visiting again next year." "Thank you Ruth for sharing your totally beautiful cotage with us. It was a well earned rest for us both and Mom (84) loved every moment of it. Would love to return soon." "Wonderful cottage. Wonderful location. Everything you could want. Been going to this part of Wales for over 40 years and hope to be going for many more." "Idealic, remote, peaceful, warm and cosy. A little piece of heaven x"
"It was a great time because we loved exploring the garden and lighting the fire." 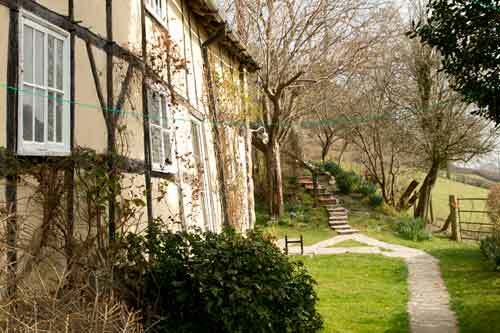 "Beautiful, quirky cottage, lots to see and explore, very tranquil and relaxing. Fantastic! Thank you!" "Ruth's cottage is amazing. It's close enough to local towns whilst retaining the feeling of being perfectly secluded. The space was super clean and provided everything we could have asked for. Ruth was on hand to help out as much as possible and provided and exceptional service during our stay." "Such a relaxing mid-week break! Cottage extremely atmospheric; garden beautiful; idyllic views of the hills, and close enough to amenities whilst being serenely isolated. The dogs Madge, Florence and Jemima also had a chilled time and were made to feel very welcome. Cottage owner Ruth was very friendly and helpful. If you're looking for a peaceful break, couple or family, this is an excellent choice. Cottage kitchen is well-equipped, and the bedrooms very spacious. Only slight grumble would be slightly uncomfortable seating in the living room, but, equally, big modern furniture would be completely inappropriate in the room! The lovely old furniture adds to the charm and atmosphere of the cottage. Everything was very clean and the bed comfortable. Dolgenau cottage comes highly recommended by my husband, myself and the dogs!" "What a superb house, location and welcome. We haven’t been this relaxed in years! We will definitely return. We will come for longer next time, not enough time to explore properly. Thank you such a great welcome, a real gem of a place." Thank you for a nice weekend, relaxing my leg! The views are wonderful and will definitely come back for another visit. Will definitely be coming back. Thank you. Lovely time! Amazing countryside. Thank you for an amazing week. It has been wonderful to be out in the countryside all day with a log fire to come home to. Will definitely be coming back. Thank you. Fantastic stay. What a lovely place. Came with friends who could stay next door. Will definitely be back! "The Barn has everything you need for a quiet break away from it all. Very comfortable and well equipped in spectacular countryside. I will definitely visit again." 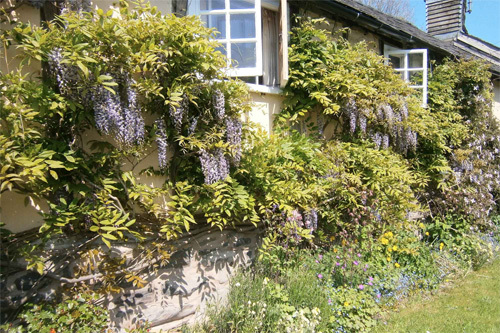 "Lovely stay (as always), all of us enjoyed the garden, local walks and a trip to Aberystwyth. Thanks Ruth, we'll be back." "Beautiful cottage, very peaceful and comfortable. Many thanks"
"This was our fifth time at Cwmmegan and it won't be our last. As always, we truly enjoyed spending time in front of the fire, walking in the Hafren Forest and exploring the dams and hills. This area is truly one of the most stunningplaces on earth and Cwmmegan cottage without doubt, the most enchanted cottage in the country."